Free Safety 1st Baby On Board Sign! 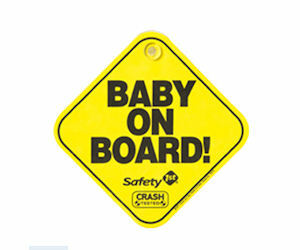 Send away for a free Safety 1st Baby On Board Sign! Limited time only, while supplies lasts. Please allow 3-4 weeks for delivery.